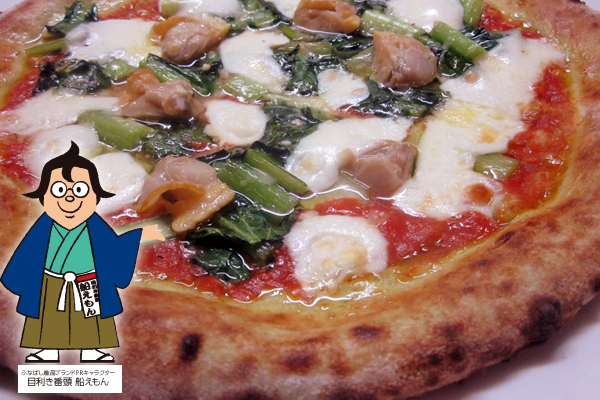 “Komatsuna (Japanese mustard spinach) and Hard clam Pizza” certiﬁed as one of the Funabashi specialty brands and the healthy Komatsuna highball are excel-lent! 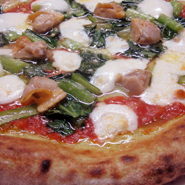 The pizza restaurant "Compare Comere" is a place where boasts Napoli pizza, which is a 10-minute walk from JR Funabashi Station. Pizza baked one by one at a high temperature of 500 degrees or more, the edge is plump and the surface is fragrant and you can enjoy the freshly baked heat. 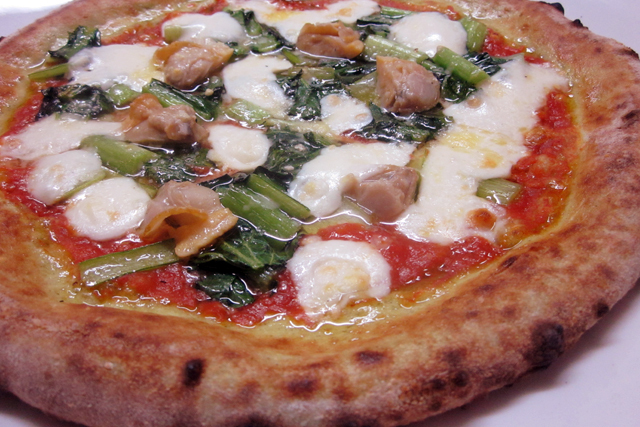 Among numerous menus, the recommendation is "Pizza of Komatsuna and Honbinosu shellfish" from local funabashi. 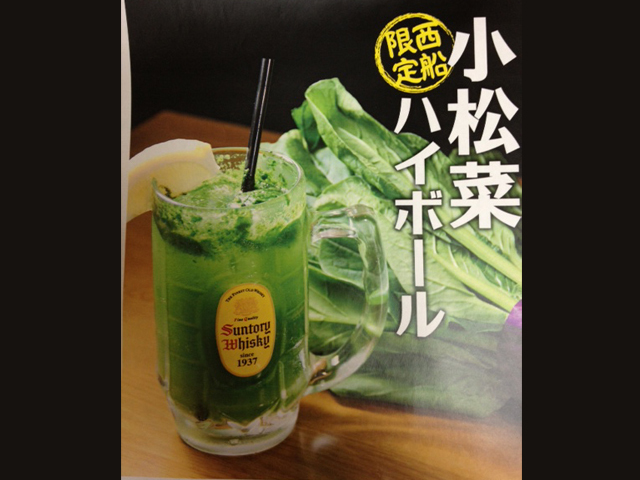 It is a gem that boasts of being certified also as Funabashi product brand. 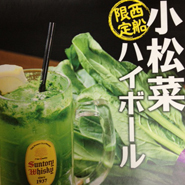 Also, please come and enjoy "Komatsuna highball" when you come to Funabashi. Komatsuna highball with plenty of vitamins can also expect colds prevention and beautiful skin effect. Please enjoy the unique taste of Funabashi.